The Conference Scholarships were set up in memory of Margaret Carey, children’s writer and illustrator and SCBWI British Isles volunteer. Two scholarships will be awarded: one to a fiction author (Young Adult or Middle Grade), the other to an illustrator or picture book author. Each scholarship covers the cost of the conference, a 1-1 manuscript critique with an editor, art director or agent, hotel accommodation, and a grant towards travel to Winchester, where the conference will take place. Current members of SCBWI British Isles* who seek professional development and show great promise in their work but who are financially unable to come to the SCBWI BI annual conference. Unfortunately we cannot consider applications from other SCBWI regions. Applicants can be unpublished, self-published or may previously have been traditionally published. Each submission will be judged solely on the work submitted and its potential, and the statement supplied. • Work should be the applicant’s own and should NOT be under contract with a traditional publisher. •Applicants who sign a contract with a traditional publisher before the deadline must withdraw. • You may submit work that has previously been self-published. • Anyone who fails to address financial need will not be put forward to the judging panel. 1. 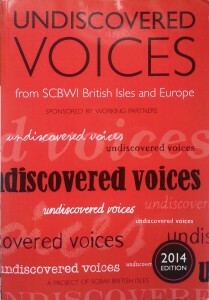 Entries should be emailed to conferencescholarship@britishscbwi.org. In the subject line please put Conference Scholarship 2016 Entry. 3. Please attach your statement. This should be 400 or fewer words in a Word document, named 'Your title – Statement': Please explain your financial need, whether you are published, self-published or unpublished, how attending the conference will help you in your writing career, and why you should be awarded the scholarship. 1500 words from the opening of your unpublished or self-published novel in a Word document, named: ‘Your Title – Extract’. Also, a one-page synopsis, in a separate document, named: ‘Your Title – Synopsis’. Please ensure both documents are double-spaced in 12-point type. At the top of the first page, please put your title and genre (Young Adult or Middle Grade). On subsequent pages, please only have the title. Please do NOT include your name anywhere on the document. Submit your entire unpublished or self-published manuscript, double-spaced in 12-point type (maximum word count: 1500 words). Your document should be named: ‘Your title – Picture Book’. At the top of the first page, please put your title and tell us that it's a Picture Book. On subsequent pages, please only have the title. Please do NOT include your name anywhere on the document. Submit a rough picture book dummy, including at least two finished illustrations. Please send as a 72dpi (web only) PDF file, naming it: 'Your title – Dummy'. You may send a file over 2MB via a service such as We Transfer. Please do NOT include your name anywhere on the document. Submit one promotional or marketing sheet which you might send to an art director that includes one image or several images on a page that is no larger than A4. 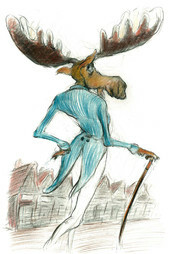 Please send as a 72dpi (web only) PDF file or appropriate JPG, naming it: 'Your title/theme – Illustration'. You may send a file over 2MB via a service such as We Transfer. Please do NOT include your name anywhere on the document. Submissions not in compliance with the rules will be disqualified. We will be announcing the names of the winners unless you request to remain anonymous (please state this clearly on your submission email if this is the case). We will delete all entries once the conference is over. 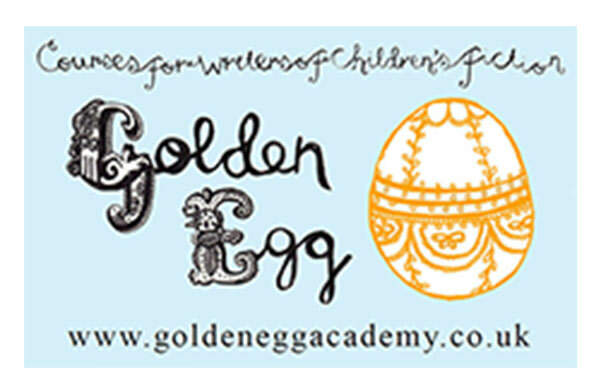 SCBWI British Isles reserves the right not to award a scholarship if the entries do not meet the required standard. Good luck! For many years, Margaret organised events for both authors and illustrators in SCBWI British Isles with verve and passion. Her volunteering and amazingly generous spirit was recognized in 2010 when she received the inaugural SCBWI British Isles Outstanding Contribution Award. 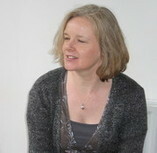 She was a talented writer and illustrator and was a winner in the Undiscovered Voices anthology competition in 2008. Look out for an upcoming article about how last year’s recipients got on at the conference. Meanwhile, here’s what the recipients of the 2014 scholarship had to say. Katrina Charman – "I was absolutely thrilled to have been awarded the Margaret Carey Conference Scholarship to attend my first SCBWI conference. The entire experience was amazing, from the fabulous keynotes, to the one to one, critique night and of course meeting so many inspiring fellow writers! And since being awarded the scholarship, I was lucky enough to be one of the finalists in the UV2014 Anthology, and have signed with my wonderful agent – Gemma Cooper at The Bent Agency." Clare Welsh – "I was hugely surprised, and thrilled, to win the MC scholarship 2013. As well as offering support, guidance and allowing me to network with other aspiring authors and illustrators, it was the boost of confidence I needed to keep going along what is certainly a turbulent career move. A year later, I feel equipped with a wealth of knowledge and enthusiasm, have made some industry contacts, with even some promising interest in my picture book. I have also since joined SCBWI’s Words and Pictures Celebrations Team to give back to an organisation that has helped me enormously. I definitely would not have been where I am now without SCBWI!" 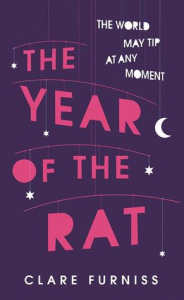 The Year of the Rat became Clare's debut novel, published by Simon & Schuster in April 2014. 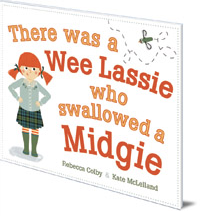 It won the 2015 Crystal Kite Prize for the British Isles and Ireland. "Very skilled, beautifully executed work that creates a world of characters, if reminiscent of Chris Riddell – but deserves encouragement…and time off from basic jobs. 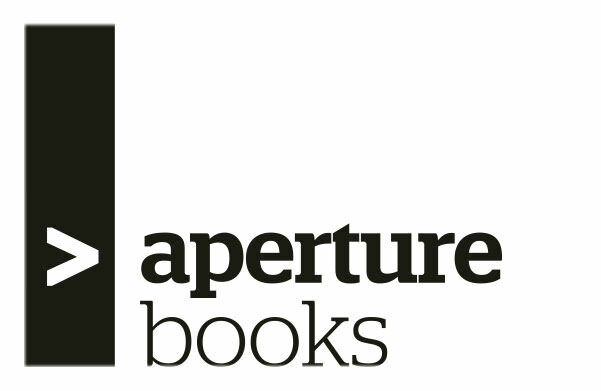 It works for 8-15 black and whites or cover work – rather than picture books. Someone who can draw so we feel the characters have potential and could be pushed to doing younger stuff later." Alice Hemming – "The whole weekend was an invaluable experience, from the Friday night critique right through to the Sunday afternoon. I had some interest in my work at the event and although that didn’t quite happen (the publisher in question stopped their picture book list), it gave me the boost I needed to go into 2012 with a positive attitude and new writing goals." 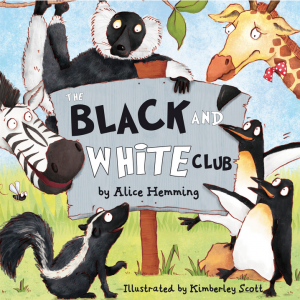 Alice's debut picture book The Black and White Club, illustrated by Kimberley Scott, was published by Maverick in September 2013.
and does not endorse any products or services provided by external companies.